In the words of millionaire gold and silver investor Robert Kiyosaki, profiting from gold and silver isn’t about the price when you sell, it’s about the price when you buy. High gold prices don’t mean much if you entered the gold market late in the game on a bull run, as your gains may be marginal compared to those enjoyed by someone who’s been holding gold since the valley of a bear market. But even if you don’t get into gold “on the bottom floor,” it doesn’t mean you can’t improve your ROI with a few smart investment strategies. 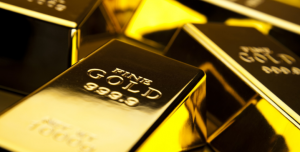 Understanding how you buy silver and gold bullion can help you enact a plan to save on costs. When you want to buy gold coins, silver bars, or any bullion product, you have to go to a gold and silver dealer. Sometimes this is a local shop, sometimes it’s a dealer that advertises on TV. Generally, the most affordable gold dealers are online, such as Canada’s Silver Gold Bull. They ship internationally and have a large inventory of coins and bars from the Royal Canadian Mint, U.S. Mint, Perth Mint, Chinese Mint, and more, as well as silver rounds and silver bars from private refineries like the Sunshine Mint. An online gold dealer is the best way to buy silver and gold as they offer a number of ways to cut down on the cost of buying bullion. Premiums are the cost of a gold or silver coin over spot. The spot price of gold or silver is the price of an ounce of gold or silver bullion on the market. Different silver coins and bars from different sources will come with different premiums depending on how expensive it is make them and how sought-after they are. Limited mintage or older coins (like an original gold Krugerrand from 1967) will have much higher premiums than a newly-released RCM gold coin, while silver rounds and bars have lower premiums than silver coins. Online gold and silver dealers like Silver Gold Bull also often have promotions that reduce premiums. Unlike paper investments, gold and silver bullion have to be shipped. You can store them in a vault at home or in a bank. If you can find free shipping deals, which often come on large orders of gold and silver bullion, cut your costs by taking full advantage of them. If a safe and a home security system aren’t enough to give you peace of mind, or you have very large holdings, allocated storage at a low cost will keep your gold and silver safe. The difference between allocated storage and keeping your gold and silver in a bank comes down to ownership. A bank keeps track of your deposits but keeps it in general storage. The gold bar you put into the bank may not be the same gold bar you get back. Last but not least, buying gold and silver as part of your RRSP portfolio is tax-advantaged. Gold and silver are meant to be long-term investments and using them in your RRSP is a smart way to maximise your returns. There are some restrictions on where you can buy RRSP gold and silver, so check with your gold dealer. Use these strategies going forward when you buy silver and gold. The more money you can save when you buy silver and gold, the better your returns when you sell.